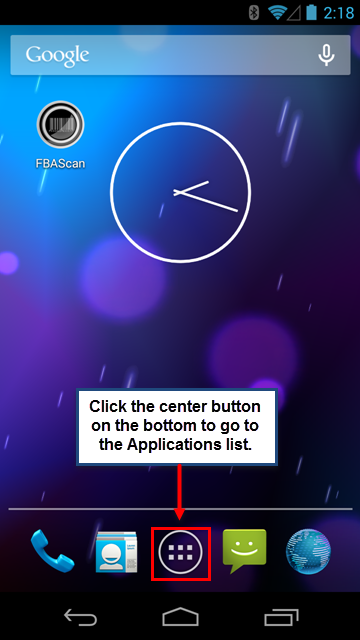 !Before pairing the scanner to the phone, it is always good to factory reset the scanner to put it into a clean state. 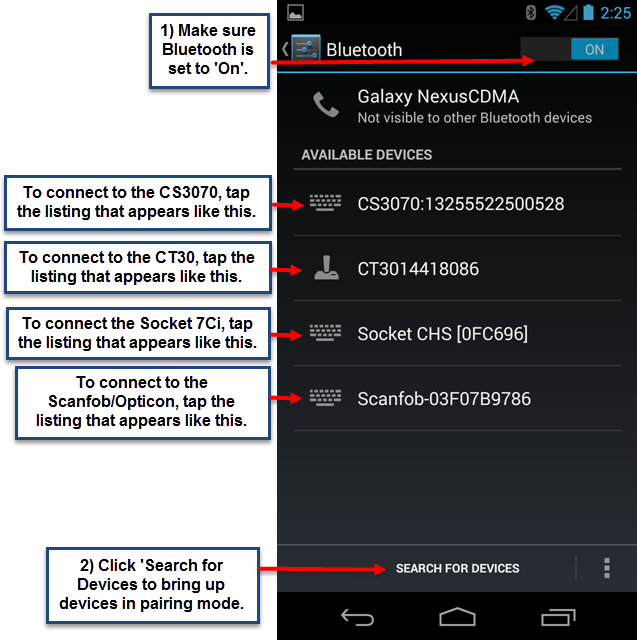 If the scanner is currently connecting to a phone, please make sure you disconnect it before you do factory reset. 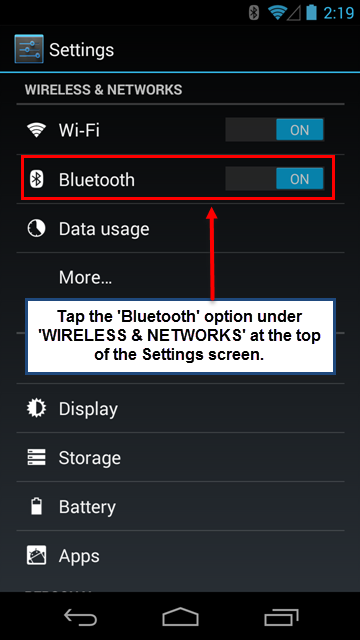 The easy way to disconnect scanner from a phone is to turn off the bluetooth on the phone as picture below. 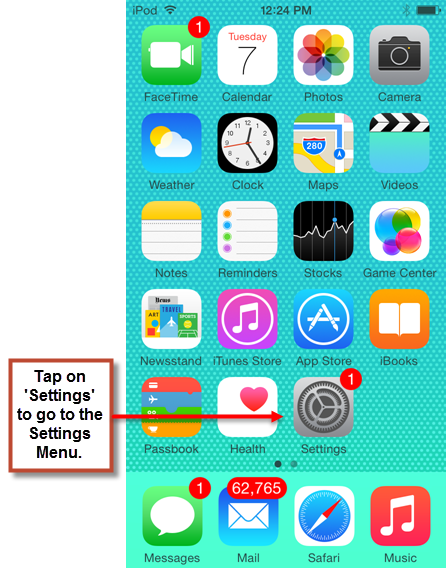 Navigate to your phone’s Settings application. 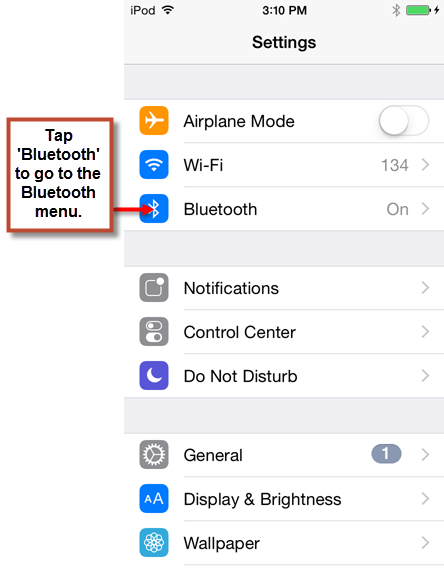 Under Settings, find the Bluetooth option and make sure it is set to “On”. 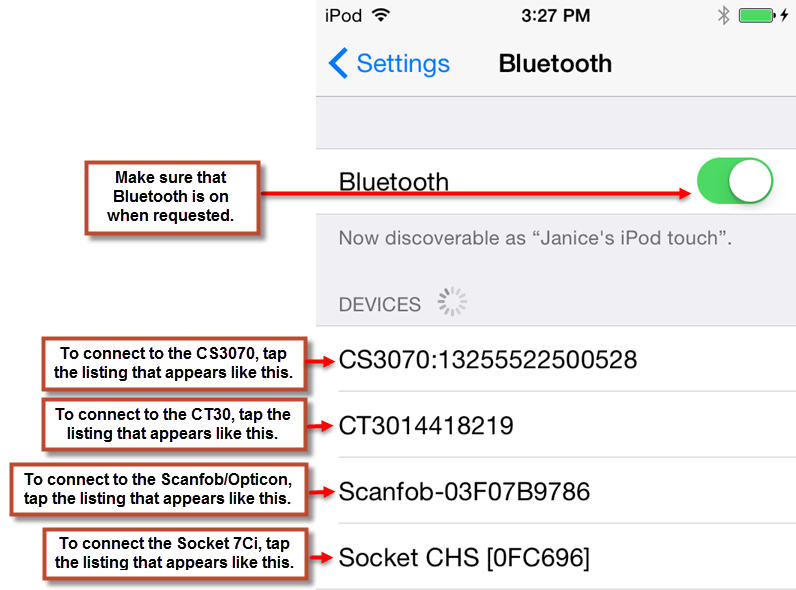 Once Bluetooth is enabled, select your scanner from the list of available devices. 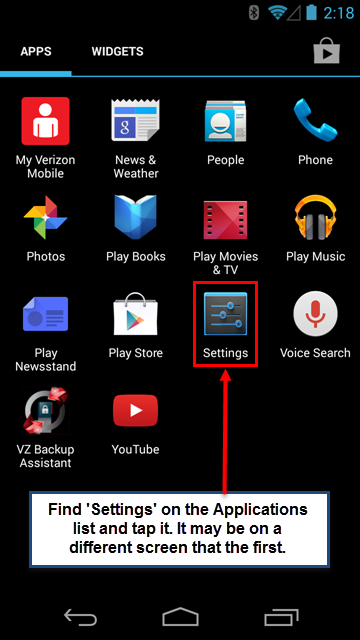 *Some Android devices may have ‘Settings’ on the Home screen, or have it accessible through a ‘Menu’ button on the bottom of the device itself.